I am cloning my own clothes. made another version in Camel and Chocolate. 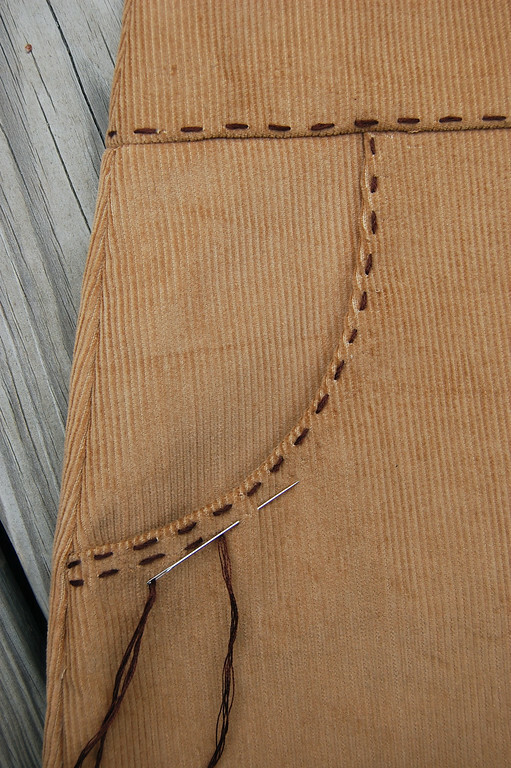 hemming of the waistband facing and the bottom hem. but it gives such a polished finish. flowers riveted on. I photographed the boring side. soon-to-be-tunic linen with grey top-stitching today. cuffs and lapels. Or anywhere, really. I love those skirts ! These are beautiful! 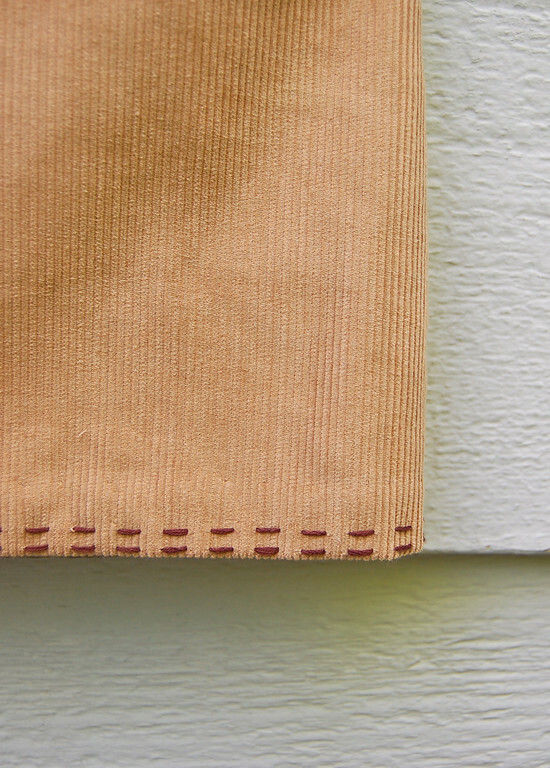 Do you use embroidery floss for the top-stitching? I knew you had more patience than I! Must be the Nutella! Those look great! I am SO in love with the design of that skirt! Any plans to do a tut? I REALLY want to make some for myself! LOVE IT! Those skirts are really pretty! I loved the original color combination, and I love this one! MaryAnne: Yes, I used all six strands of embroidery floss. Nicki C K: Unfortunately, no plans for a tut. 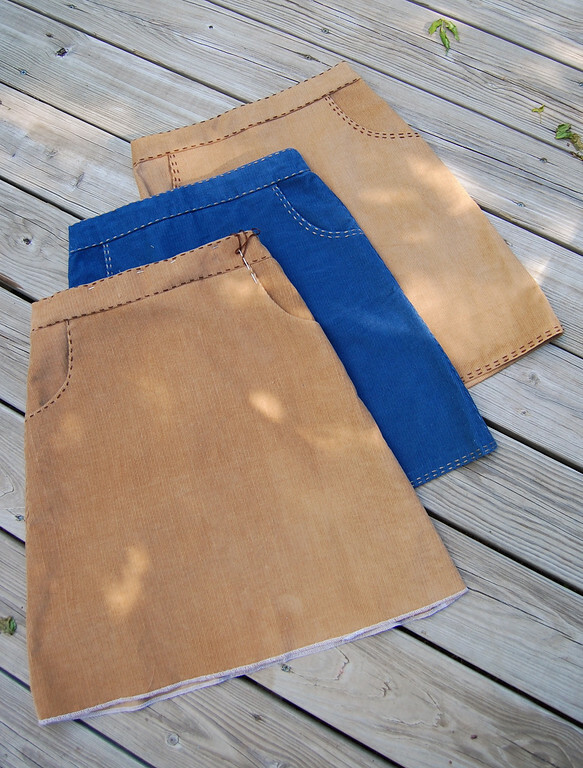 It's a classic A-line skirt so it should be easy to find as a commercial pattern in a size that fits. 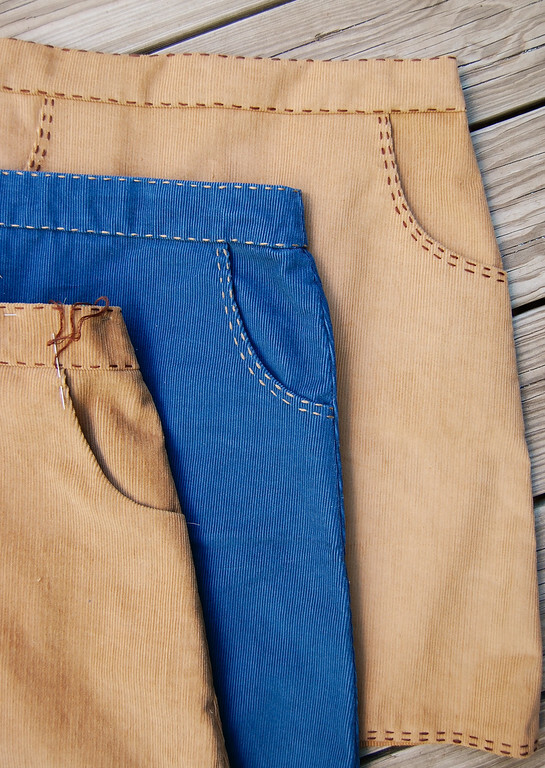 Add pockets. 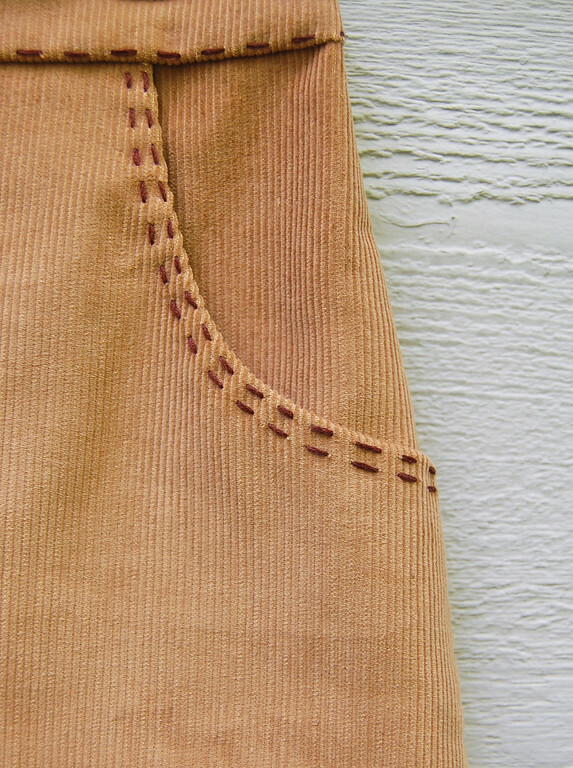 Then top-stitch along the pockets, waistband and bottom hem. I am OBSESSED with yellow and grey! Cannot wait to see that one. L.O.V.E. them! So simple and so beautiful! Great work! 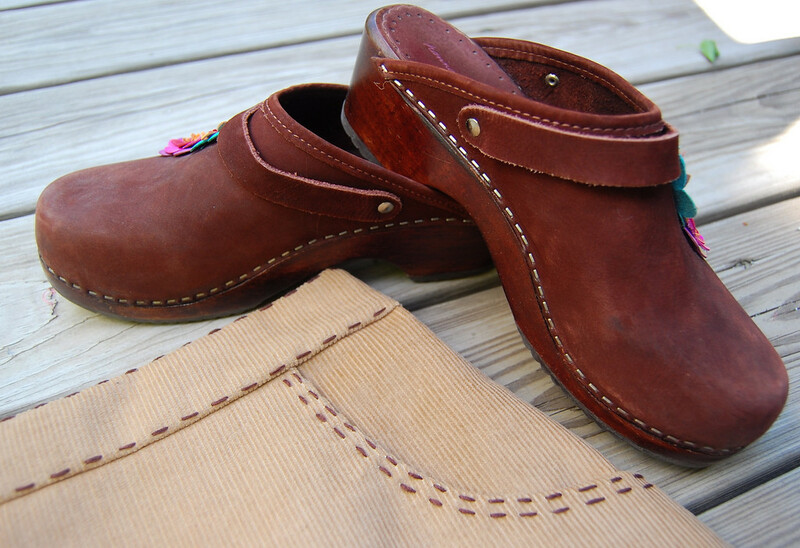 the top stitching really makes them special. EEEK! SO beautiful! I love it! I'm afraid I'm not particular and careful enough to do that kind of topstitching, but I love it so much I may discipline myself to try! 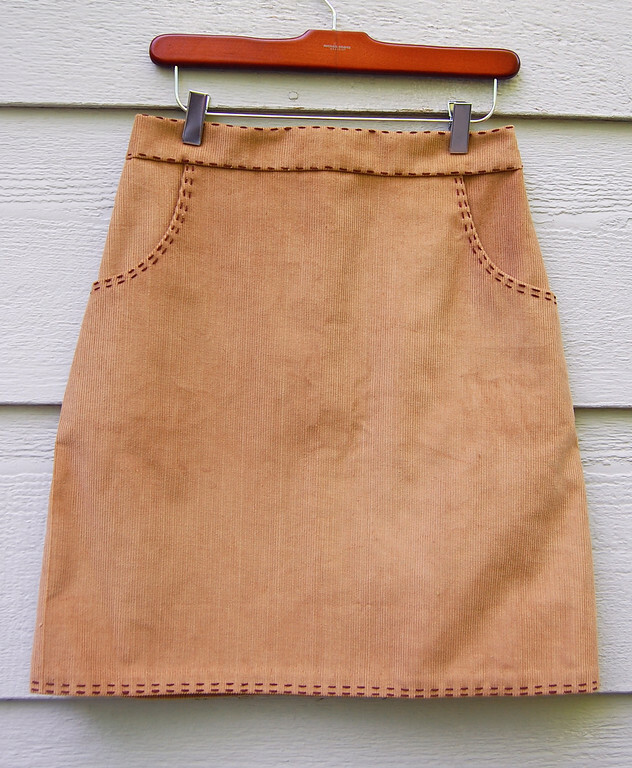 I just posted about my yolk-yellow linen skirt with grey topstitching (machine, I'm afraid, and doesn't really show well in the pics). It's a fab combination.